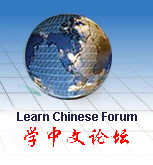 Integrated Chinese, this set of four audio CDs includes all the dialogues, vocabulary, and pronunciation exercises from each lesson of the Integrated Chinese third edition textbook, as well as the listening exercises from each lesson of the Integrated Chinese third edition workbook. The CDs also include the detailed introduction to Chinese phonetics and pronunciation from the textbook. This is a completely new set of recordings for the third edition. Each CD set also comes with free access to downloadable bonus tracks: alternate slower versions and dialogues with pauses.